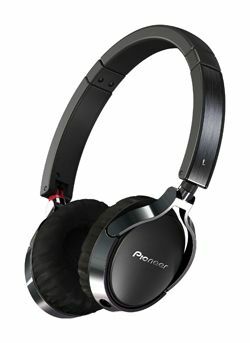 Pioneer 'audiophile' headphones designed for outdoor and portable use | What Hi-Fi? With their aluminium and black chrome finish, the foldable cans incorporate a new 4cm driver with an aluminium vibrating plate "for crystal clear high frequency reproduction". Frequency response is 5Hz to 40,000Hz, impedance 32ohms and sensitivity 108dB/w/m. There's a detachable 1.2m chord for connecting to audio devices, and the headphones come with a carry case as standard. They'll be available from the end of October.